Aviation Updates Philippines - A Malaysian airliner was shot down over eastern Ukraine by militants on Thursday, killing all 295 people aboard, a Ukrainian interior ministry official was quoted as saying by Interfax-Ukraine news agency. The aircraft, which other sources said was a Boeing 777 flying from Amsterdam to Kuala Lumpur, came down near the city of Donetsk, stronghold of pro-Russian rebels, Anton Gerashchenko said, adding that it was hit by a ground-to-air missile. 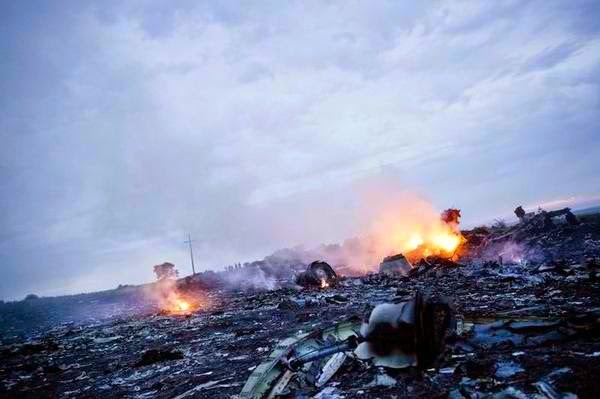 There was no further confirmation of the report, although Ukrainian officials said local residents had found wreckage. Malaysia Airlines said on its Twitter feed it had lost contact with its flight MH-17 from Amsterdam. "The last known position was over Ukrainian airspace," it said. Gerashchenko was quoted as saying: "A civilian airliner travelling from Amsterdam to Kuala Lumpur has just been shot down by a Buk anti-aircraft system ... 280 passengers and 15 crew have been killed." Interfax-Ukraine quoted another Ukrainian official as saying the plane disappeared from radar when it was flying at 10,000 metres (33,000 feet), a typical cruising altitude for airliners. It came down at Torez, near Shakhtersk, some 40 km (25 miles) from the Russia border. The area has been the scene of fighting between Ukrainian troops and pro-Russian rebels.